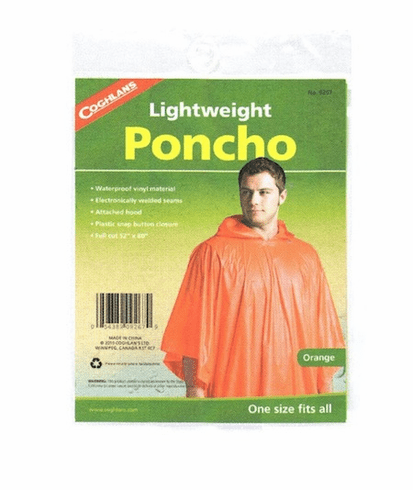 Waterproof vinyl poncho with electronically welded seams. Attached hood and PVC snap button closures on sides. One size fits all. Full cut 52" x 80"